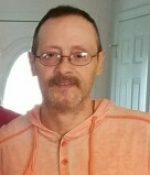 Remembering Kevin J. Francis | Remembering Kevin J. Francis | De Soto Obituary Search | Dietrich-Mothershead Funeral Home, Inc. Remembering Kevin J. Francis | De Soto Obituary Search | Dietrich-Mothershead Funeral Home, Inc.
Memorial Gathering: Friday, November 16, 2018 from 11:00am until 12:00pm at the De Soto Christian Church. Inurnment: Jefferson Barracks National Cemetery at a later date. Kevin James Francis was born in St. Louis on August 4, 1962 a son to Donald and Frieda Francis. He died at his Crystal City home on November 8, 2018 at the age of 56. He is survived by his wife Tina (nee Edelman) Francis, Crystal City; one daughter Amber Francis, De Soto; one son: Patrick (Audra) Rodgers, Branson, two grandchildren; his father and his wife Lucy who live in St. Louis; one brother: Robert (Tonya) Whitmore, Park Hills; his step-father John Bramlett and his wife Robin, De Soto; and several nieces and nephews. He is preceded in death by his mother; and one brother: Scott Whitmore.